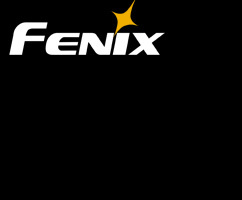 The Fenix MC11 is a multi-functional LED angle light. 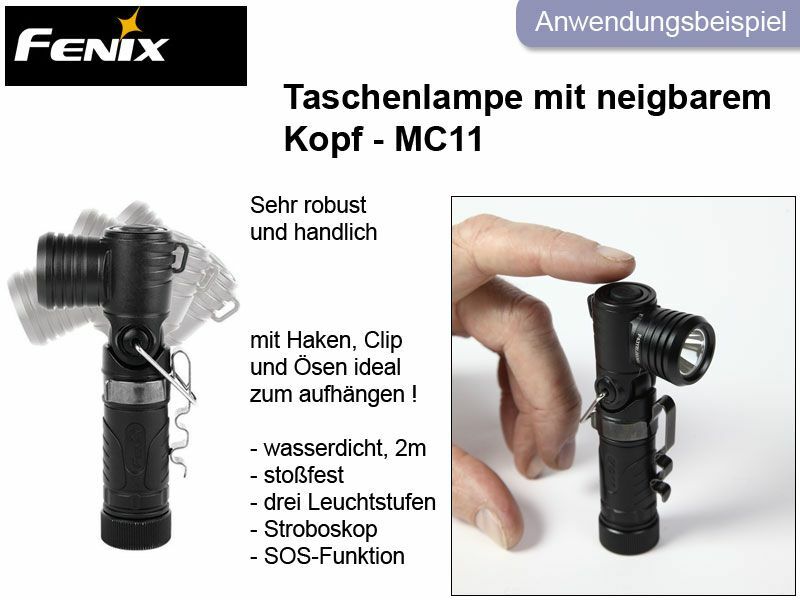 Its unique design and 90 degree rotatable head allows you to easily adjust the illuminating angle and brightness for a variety of tasks. 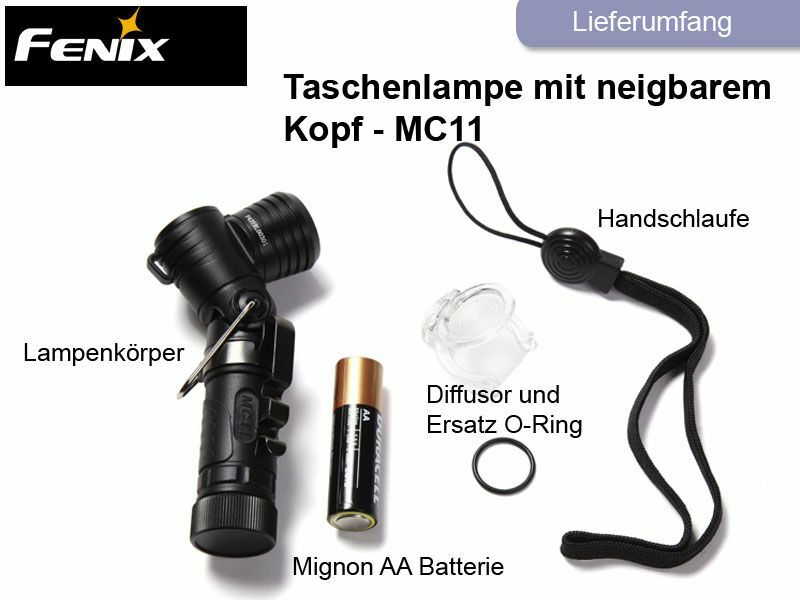 With the proper accessories, the MC11 can be used as an L-shaped flashlight, camping light, or headlamp. 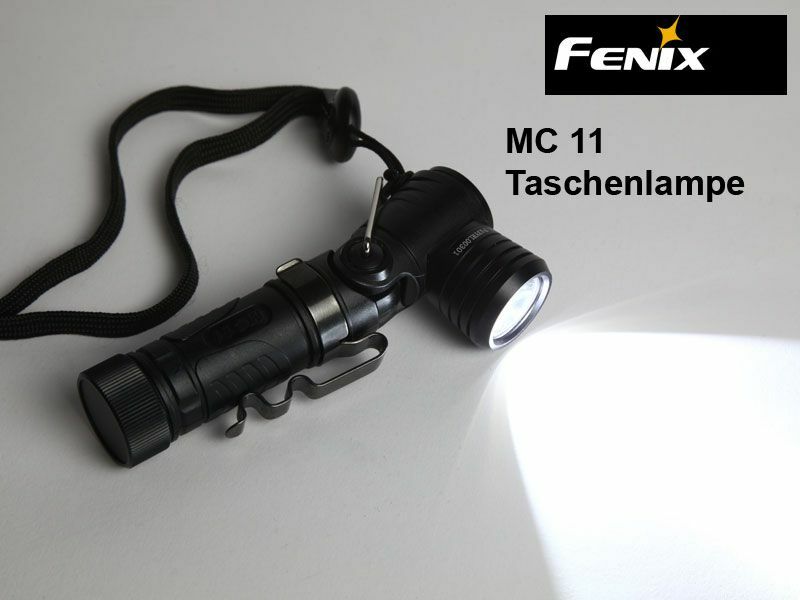 The MC11 has a simple and easy to operate big button switch offering 3 brightness levels and 2 flashing modes, and it has an intelligent memory function. 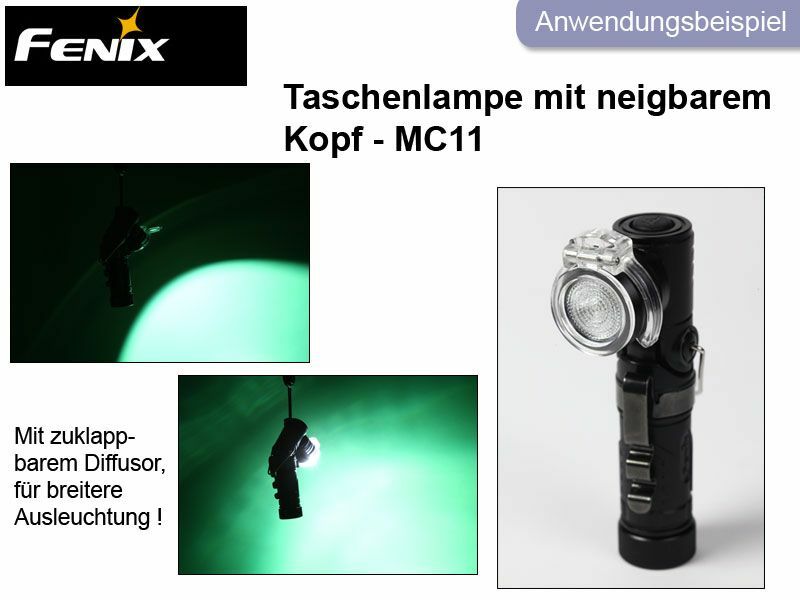 The MC11 can stand on any flat surface and the downward illumination can be realized by adjusting the angle of the head. It is convenient for camping, reading, living and working. 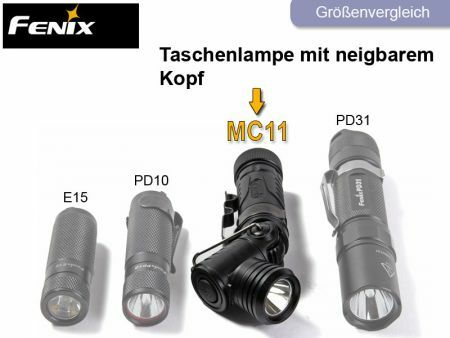 Its small, lightweight body is also extremely durable, and waterproof to IPX-8 standard. This Product was added to our catalogue on Monday 19 December, 2011.